Work is no longer a destination; workspaces have become the backseat of a van, an airport, or if you’re lucky, possibly even the luxury of a coffee shop. We recognize that you need your device to adapt to your lifestyle and technology should never hinder creativity or productivity, especially for customers in compute-intensive fields such as film, architecture, engineering, the sciences or photography where mobility is just part of the job. That is why we developed the new Dell Precision 5530 2-in-1 mobile workstation. It’s flexibility at its finest and it fits around your creation needs, without compromising power, performance or battery life (up to 16 hours). With the Dell Precision 5530 2-in-1, you have everything you need at your fingertips – it can handle the creative tasks you throw its way, allowing you to stay productive on the go. With support for up to two 4K displays, the workstation allows creators to get immersed in how they use technology at their desk or wherever. If you’re a busy film director or producer in press junkets, hosting screenings or meeting with investors, we know you likely don’t have time to head back to the editing suite or physical office to check content and new scripts. In-between takes and meetings, you can pop open the stylish 15.6” 2-in-1 device to review footage on a stunning InfinityEdge display. With up to 4K Ultra HD display options available, packing 8 million pixels and 100% Adobe RGB, you can review your work in precise clarity and color accuracy. For those who prefer to make notes, the flexible 360-degree hinge enables you to treat your workstation like a sketchbook, complete with precise pressure sensitivity (with a pen or touch) so you can hit your mark the first time, while tent mode allows for easy collaboration and presentations. With these features, the 5530 2-in-1 supports your creative flow from ideation to collaborated editing to the finished creation. What’s more, we’ve teamed up with software partners to optimize your experience while using the most demanding professional creative and design software applications and the 2-in-1 workstation has a range of Independent Software Vendors (ISV) certifications ranging from Adobe Creative Cloud and Autodesk Maya to AutoCAD, and Solidworks Industrial Design. As with all Dell Precision workstations, you also benefit from our exclusive Dell Precision Optimizer software which automatically tunes your workstation to run ISV applications at the fastest speeds possible. 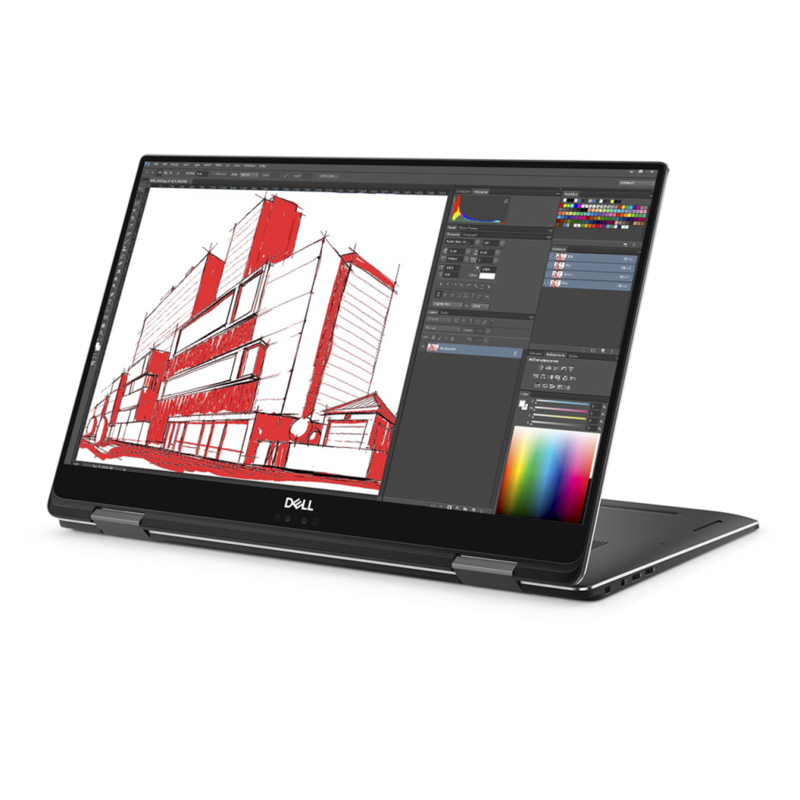 Dell Precision is proud to push the innovation barriers and continue to create technology that meets the most pressing needs of our customers and we have designed the Dell Precision 5530 2-in-1 so you can more precisely bring your vision to life. We’re looking forward to seeing your creations! The Dell Precision 5530 2-in-1 is available worldwide from today, starting at $1679.